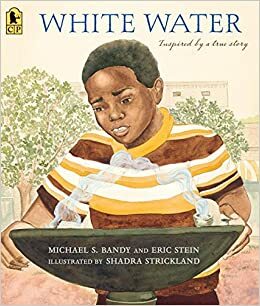 Water White is based on the 2011 children’s book which was co-authored by Michael Bandy and Eric Stein. The film is based on a childhood experience of author Bandy and tells the story of a boy in 1963 Alabama who is obsessed with drinking water from the “Whites Only” fountain. I was drawn to this movie premise because my grandfather told me about his experience as a child in 1950’s Georgia wanting to drink from the white fountain. Like Michael, my grandfather found that the water wasn’t all he thought it would be. The narrative style and tone of the film fit perfectly as it is from the point of view of a 7 year old little boy. Watching the shenanigans that Michael and his older cousin Red get into was hilarious. Amir and Amari O'Neil were perfectly cast as Michael. Although twins they played the character in the same way. I was not even aware that Michael was being played by twins until I looked up the trailer to write this review. I was also impressed by the acting of Zhane Hall as cousin Red and Storm Reid as girl next door Cassandra. The adult talent includes mainstays like Larenz Tate and Sharon Leal as Michael’s parents, Barry Shabaka Henley as Rev. Stokes, and Leon Lamar as Grandpa Alex. I did not watch the trailer before I watched the movie. Because of that, I was completely caught off guard and shocked by the last half of the film. In the last thirty minutes Michael gets lost in klan county, while on his quest to taste the white water. The change in tone fit with the subject matter, was historically accurate, and advanced the story. I don’t know how true to life the ending of White Water is, but I can say that I was satisfied by the ending. 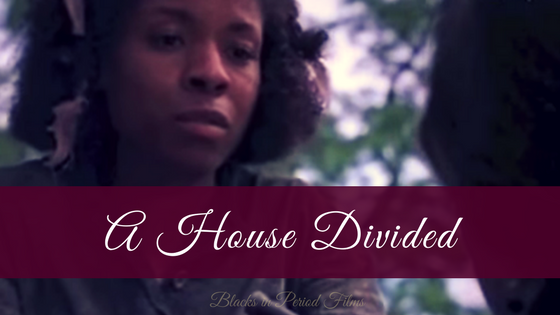 This film would be an awesome introduction to segregation for discussions with young children. Its roots as a children’s book are evident, but as an adult I was still entertained. White Water is rated TV PG for language and can be viewed by the whole family. Have you watched White Water? If so, what did you think of it? Also, if you have an experience with the white and black water fountains of the Jim Crow era share it below!